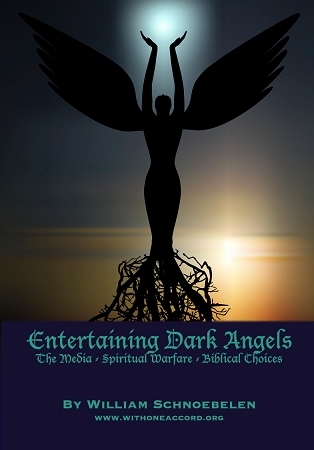 There are the powerful connections between spiritual warfare strategies and entertainment choices. In this dynamic DVD teaching, Dr. William (Bill) Schnoebelen shares Biblical weapons to keep your spiritual fortifications keen and thwart the devastating effects of today’s entertainment industry in your home, family and children! Learn how the vampire and zombie craze is entrancing our culture and the tools necessary to keep your home pure and unspotted from the world (James 1:27)! Defeat fallen angels and create a safe haven to shield those you love from spiritual devastation in a culture awash in wickedness, fornication and drugs! A minister to the nations since 1987, Bill brings anointed, spiritual insights to this troubling issue with this empowering DVD – an excellent resource for churches, congregations, youth groups and involved parents. ROMANCING DEATH - Provides unshakable Biblical foundations to expose the fallen angels of vampirism versus the gift of Eternal Life through Salvation, while closely analyzing the romanticized ideals of the occult portrayed in the Twilight Saga series. Together, ROMANCING DEATH and ENTERTAINING DARK ANGELS are a clarion call and warrior guide for the Church against today’s media death cult!